Representative Alexandria Ocasio-Cortez, the Democrat from New York, called climate change “our World War II” and warned that the world will end in 12 years if we don’t address global warming on Monday. During an interview Monday at the MLK Now event at Riverside Church in New York with writer Ta-Nehisi Coates, Ocasio-Cortez argued that global warming needs to be addressed immediately to avoid the end of human existence. 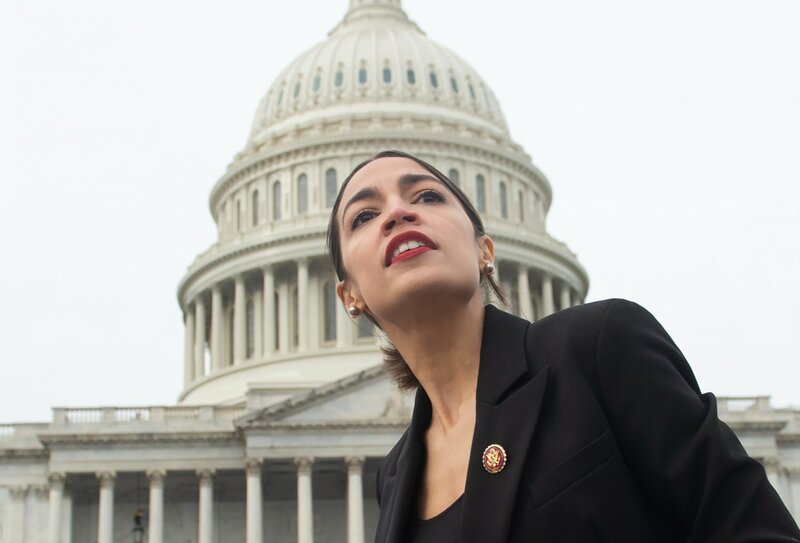 Although she didn’t explicitly attribute her source for the 12-year time frame, Ocasio-Cortez was likely citing a report by the United Nations Intergovernmental Panel on Climate Change (IPCC) released last October that predicted that there’s only a dozen years left to keep global warming to a maximum of 1.5 degrees Celsius. Any higher, even by half a degree, would significantly increase risks of floods, drought, extreme heat and potential poverty for hundreds of millions. Later on Monday, Ocasio-Cortez, a self-described democratic socialist, appeared on CBS’s The Late Show with Stephen Colbert, where she admitted she gives “zero” f***s about some established politicians in Washington, D.C., criticizing her outspoken nature.